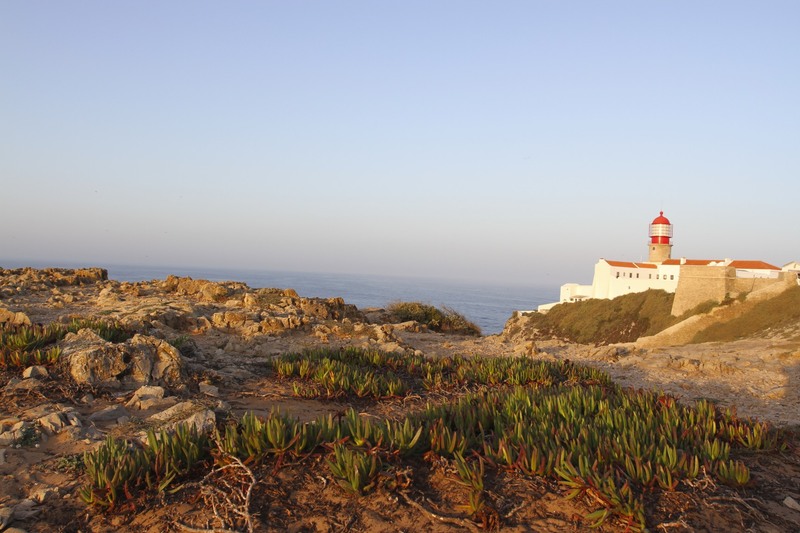 Arriving at the truly dramatic Cabo de Sao Vicente, Europe’s most south-westerly point, at any time of day is wonderful; watching the sunrise over the massive cliffs and red and white lighthouse is pure theatre, played out on a very large stage. 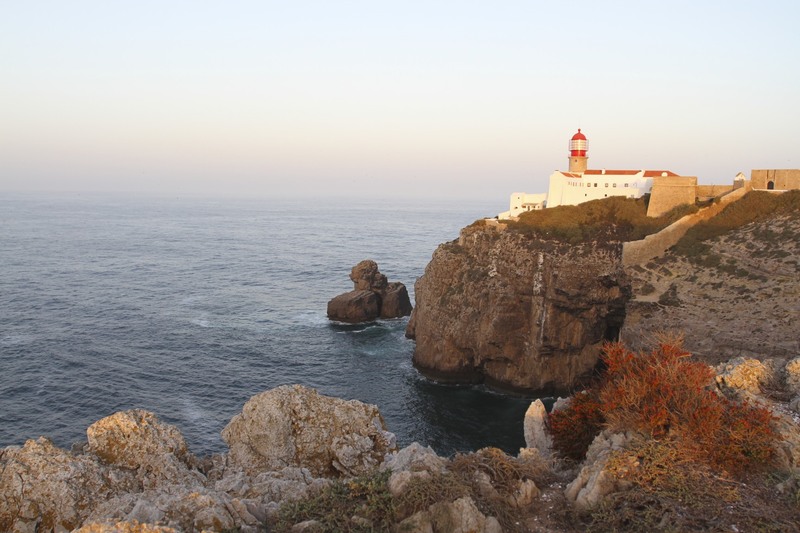 This coastline is full of the most amazing seascapes, but Cabo de Sao Vicente really is special. 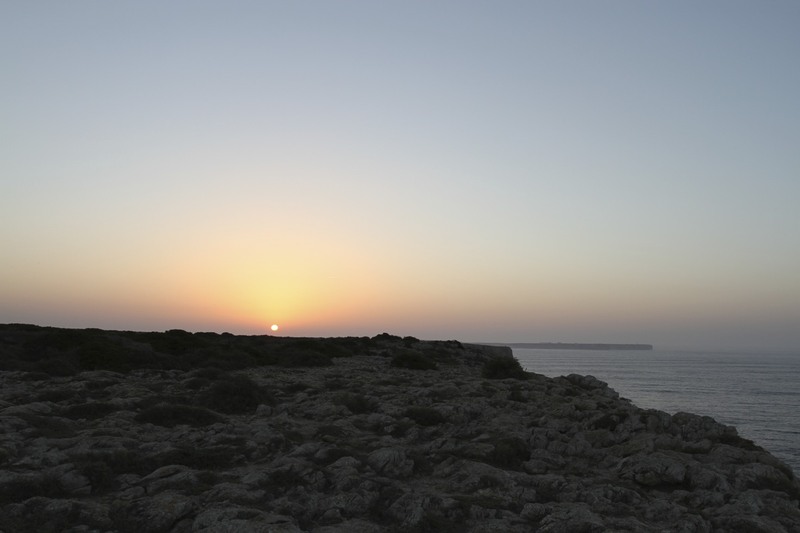 Driving out from Sagres towards the lighthouse in the dark of pre-sunrise, it quickly became apparent that I wouldn’t be alone watching the sun come up on the south-west tip of Europe. This is an iconic place, sunrise an iconic time and I suspect quite a lot of bucket lists had one less thing on them once the sun had risen. The car park at the lighthouse was busy with people wandering around; quite a lot of people seemed to have spent the night there. Despite the number of people, you don’t have to wander too far to find yourself alone on top of alarmingly high vertical cliffs with uninterrupted views in all directions. The lighthouse was doing what its name suggests, sending out a beam of light to warn passing ships of danger. 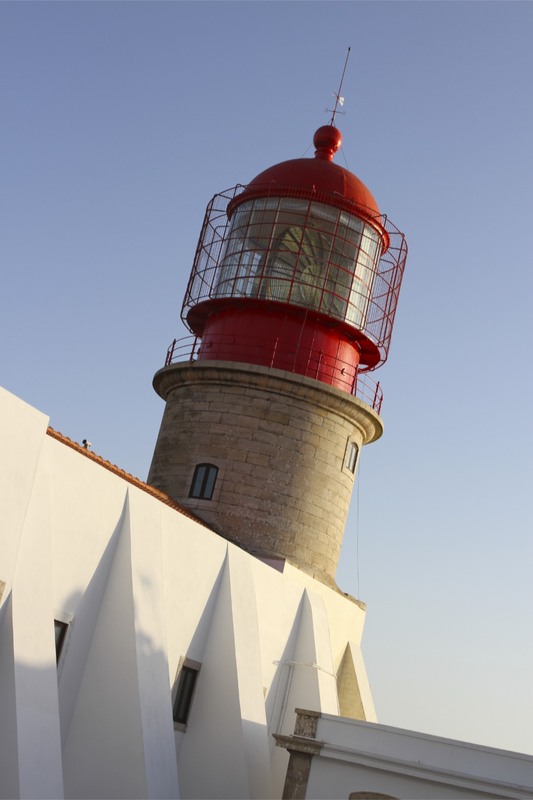 It underplays its importance, but in reality this is one of Europe’s most powerful lighthouses, guarding one of the world’s busiest shipping lanes. 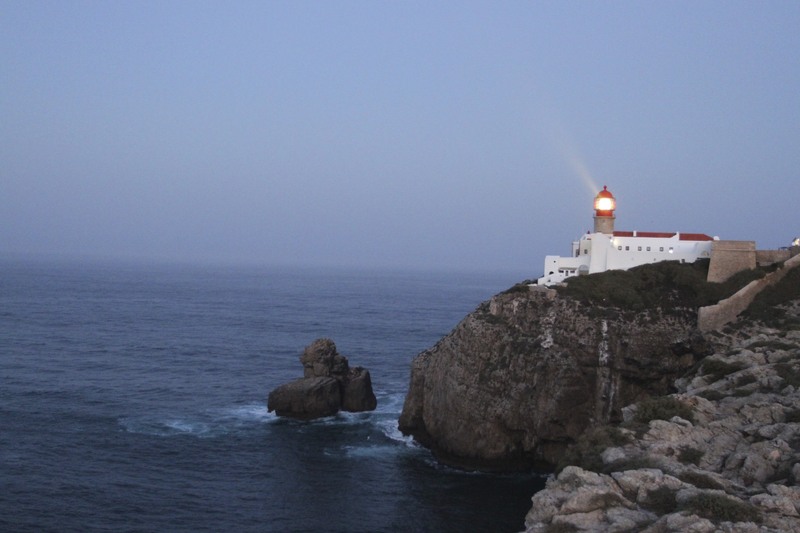 In the opposite direction the lights of Sagres flickered in the half light of morning. The air was still, just a light breeze came off the ocean, the sound of waves competing with sea birds to make the most noise. This is probably as placid as it gets on this coast, I can’t imagine standing here in a storm. 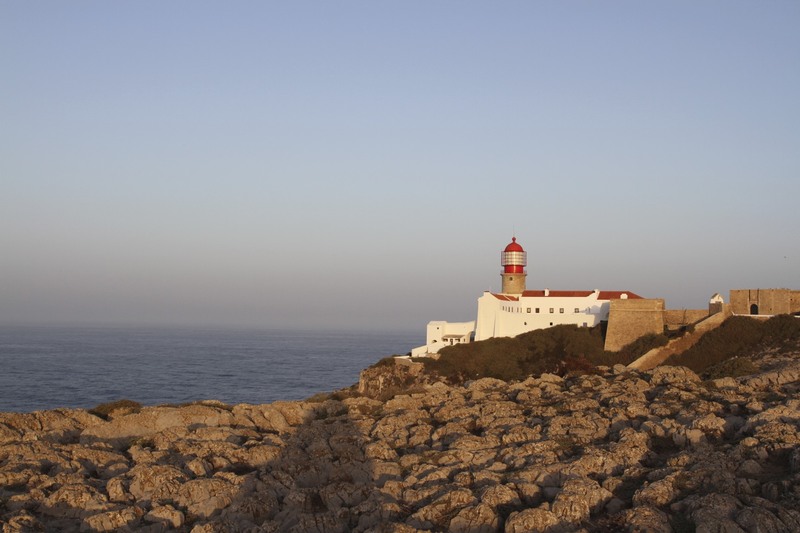 The ancient Greeks knew Cabo de Sao Vicente as Ophiussa, the Land of Serpents. 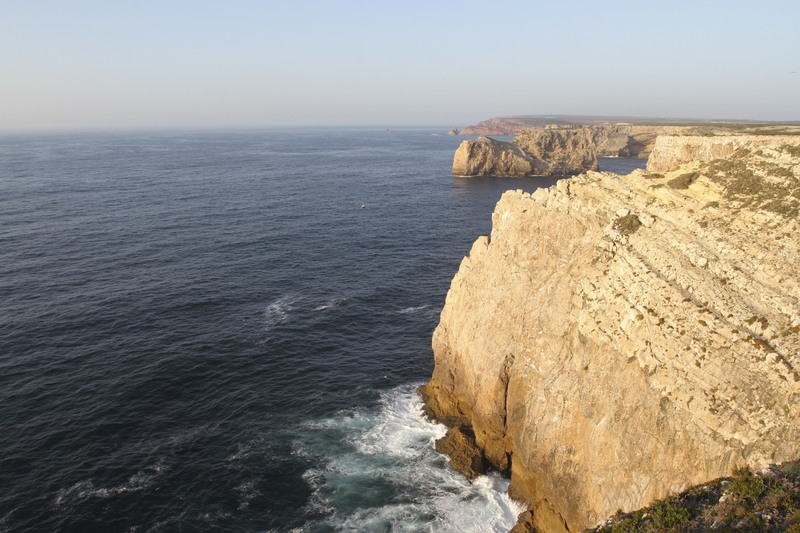 Following hard on the heels of the Greeks, the Romans called it Promontorium Sacrum, the Sacred Cape. 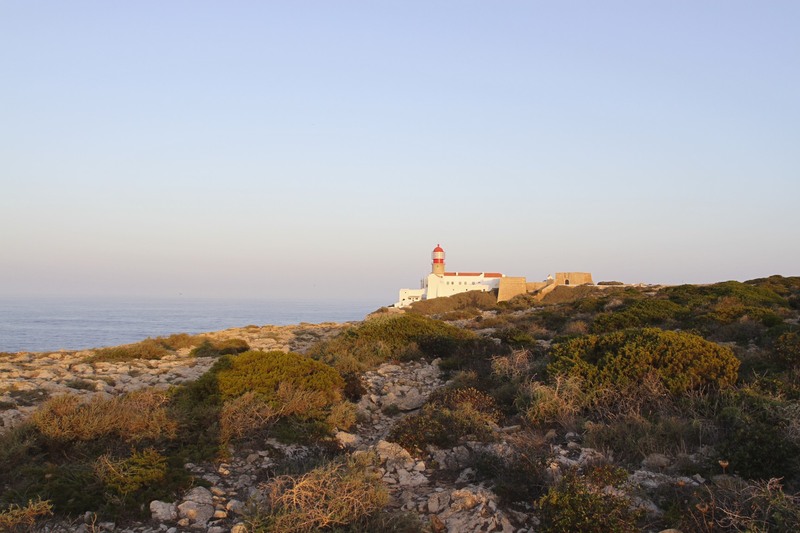 From those early days of human adventure this headland had a mysticism that it has retained throughout the centuries. 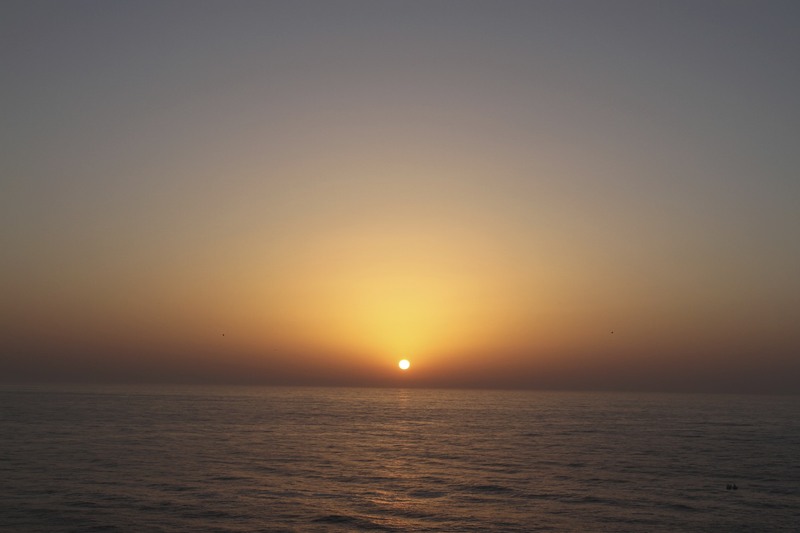 The power of this place is undeniable, even I felt a sudden urge to indulge in a little sun worship. 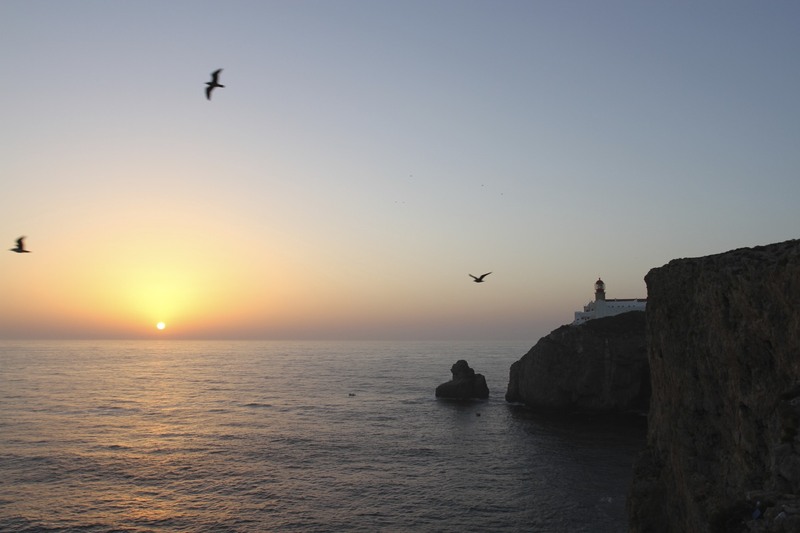 Being a nerd for the complete experience, and not wanting to have been in the area and missed it, I decided to go and watch the sunset at Cabo de Sao Vicente as well. 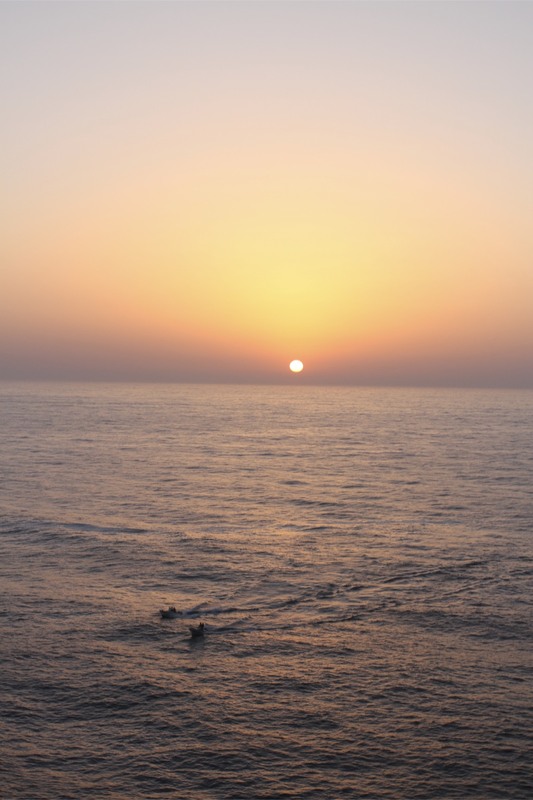 It may have only been the sun doing what it had done twelve hours earlier, just in reverse, but in this isolated corner of Portugal sunset is loaded with atmosphere. It was magnificent.